International SEM is gaining speed. Taking quick stock of some of the international offices of Bruce Clay, Inc. gives us a lot of insight: Bruce Clay Australia is booming and doing some really great work for some of the country’s top companies. This is showing us that SEM is highly embraced and valued amongst the business community in Australia. Business is flourishing at Bruce Clay India, largely due to a heightened interest from the business community to adapt SEO best practices that provide long-term value. This is a major shift in focus from the standard SEM practices of days gone by in India that we, in the U.S., might deem Black Hat. Bruce Clay Italia is also experiencing much success. With the Italian business community making strides to do more business online, the Italian offices are seeing a huge demand for learning and establishing cutting-edge SEM tactics. In fact, for the first time ever in Europe, Bruce Clay, Inc. is launching SEO training this March at one of the leading Italian universities for marketing and communication, IULM University of Milan. “In Europe, we have just a few universities that offer digital marketing classes for students and companies; IULM is the first university in Europe to offer a SEO training taught by a well-known U.S. instructor,” says Ale Agostini, managing director of Bruce Clay Italia. “The goal of having a partnership with IULM is enlarge the typical SEO audience to a broader target,” he adds. Making SEO training accessible to the European community is essential. And since Milan is just a one-hour flight from key European cities such as London, Berlin, Paris, Munich, Frankfurt, Amsterdam and Brussels, it’s a central location that students-to-be can take advantage of. “In Internet marketing, the U.S. is generally a few years ahead. Our goal is to provide best-in-class SEO knowledge to the European business community by bringing Bruce Clay here to Milan,” says Ale. 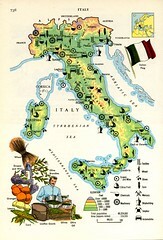 Italy in particular is embracing search; a Spring 2010 post by Search Engine Watch revealed Italy ranks No. 5 in the top 10 Internet-focused countries in Europe. Google’s market share in Italy is close to 90 percent, by the way. And online advertising is also growing. Nielsen data shows the Italian online advertising sector gained 17 percent in 2009. This trend is particularly strong in the publishing industry, says Ale, where several clients are using SEO to reshape their business. In fact, some of the more traditional Italian publishing companies like Mondadori Group are now focusing efforts on Google. The recent Mondadori-Google partnership will make Mondadori’s books available in electronic format around the world through Google eBooks (Google Edition). Ale says the launch of Google eBooks and the growth of iPad is supporting the change in the publishing industry. 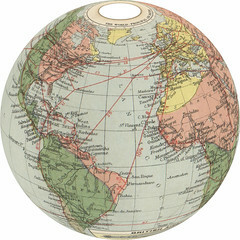 Other opportunities for Internet marketing abroad come with social media. A Summer 2010 report on the Nielsen blog shows social media in Europe growing, with users spending many hours on networks like Facebook. If you or someone you know internationally might benefit from professional SEO training in Milan this year, here’s some information to consider. The two-day course will provide education on many topics related to SEO that we offer in our standard and advanced SEO training courses here in the U.S., but catered to an international audience. What should be done to improve rankings. How to increase click-through rates. How to make a website relevant. How to identify the best keywords for a site. What PageRank is and how to increase link popularity in Google. Date: March 1 to March 2 (two-day training). Location: IULM University, Via Carlo Bo 1- Milan, 20143, Italy. Price: 780 € (euro) per person. *Discount for registration prior to February 14. Discounted price is 650 €. Perks: 12-month subscription to SEOToolSet™ for two domains. Sign up: To sign up or for more information, call Bruce Clay Italia at +39 02 3809 3525 from 9 a.m. to 5 p.m. GMT +1 Berlin time, or e-mail to aperekrest@bruceclay.com. Information can be provided in English, French, Italian, Russian and Spanish. You can also view or fill out the EU SEOToolSet registration form or check out the Corso SEO page on the Bruce Clay Italia site (Google can translate the text). Yes I have taken seo training from Bruce Clay. i found it very nice and elaboration was also very good. Thank you, Brijendra, glad you liked it and thanks for your comment!